Electrical work can come in many forms from installing a recessed light to changing out an entire panel. We take pride in giving our customers upfront pricing before the job is started so that there is no question of what you are getting. We also explain to our customer in detail of what and why we are doing project to keep them informed. We are so happy that we were introduced to Bailey & Shipp! We've been working with this company for a little while now and they have been nothing but amazing. The guy always arrive on time to scheduled jobs, work diligently and provide the highest quality of service. 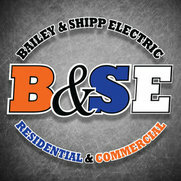 Bailey & Shipps never fails to go above and beyond to exceed standards. We will definitely continue using their services! On both appointments, the technicians (David the first time, Matt & Evan the second time) were respectful and honest, very well organized. And they arrived right on time. 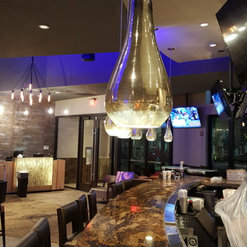 We had ceiling fans and recessed lighting installed. They kept the work areas clean. My wife and I are very happy with their work, and the jobs were completed in the quoted time, even early! Everything was well explained and questions were answered with the feeling that they weren't in a rush to leave until I was satisfied. We will call again for future jobs. Thank you for the kinds words and are very happy you are please with the work our , David, Matt & Evan did. We look forward to working with you in the future. I was replacing a bathroom exhaust fan with a heat lamp/exhaust fan combo and started the work myself. After running into several issues during the installation process, I decided to call a professional to finish the job. 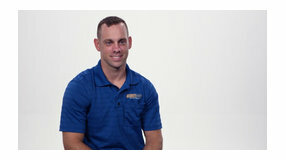 I found Bailey & Shipp online and didn't know much about the company, but was immediately impressed with the friendly receptionist when I called. She booked my appointment quickly and Bob came out the next day to finish the installation I had started. He said he had 30 years of experience and it showed. He resolved all of the wiring issues that had stumped me, and the heat lamp/exhaust fan are now working. Bob vacuumed the bathroom and left everything as he found it. 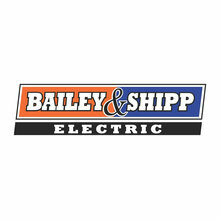 Will definitely call Bailey & Shipp if I need an electrician again. 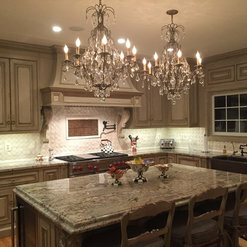 Good thing I called, my husband and I were having a chandelier installed in our dining room, and thought we could just put it up, needless to say the new chandelier weighed a ton. When the technician came out, nice guy he informed me of this. He did the work and it looks great. Happy is all I can say, had Bailey Ship over to look at some lighting in my home to be installed, went over everything I wanted and had them do the job. WOW it is a total transformation of my kitchen undercabinet lighting recessed lights and more. They were very thorough with us about what was going to be done and cleaned up each day as if they were not there. The Bailey and Shipp team did an amazing job for our event. 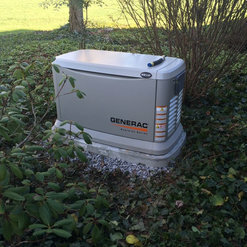 We had a last minute need for additional temporary power for an event in Washington DC. The crew was on time and very efficient. Great Job! Thank you Tim, I am glad we could be of service to you and look forward to working with you in the future.